At Music Biz in Nashville, an assortment of industry luminaries gathered to pose for a high-wattage photo op and to ask icon Dolly Parton where she got the idea to record that Bodyguard song. 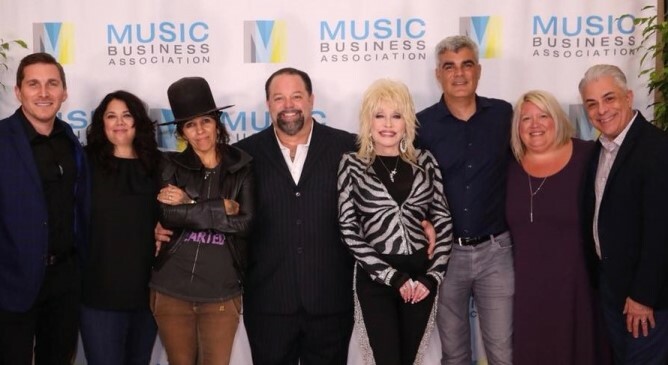 Seen just before Jim Donio formulated a three-hour version of this caption are (l-r) Sony Music Nashville's John Zarling and Caryl Atwood, songwriter/producer Linda Perry, manager Danny Nozell, Parton, Sony Music EVP/GM U.S. Sales & Streaming Darren Stupak, SMN's Alaina Vehec and Donio.